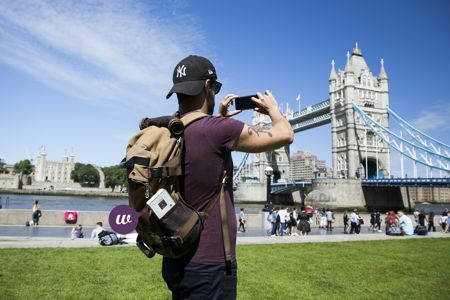 If you tend to travel a whole lot out of your country, one of the most important things that you would like to find out would be whether your mobile service provider has some sort of roaming data plan so that you can continue with your social media updates, video streaming and checking out the Internet wherever you are. I believe that most of us would probably settle for a local SIM card, as many of these companies tend to offer fantastic privileges with a tourist SIM pack. Fonebud IoT Berhad has something different in mind with the Fonebud W travel Wi-Fi device. The Fonebud W will place an emphasis on travelers from the US as well as Europe to gain unrestricted WiFi access in more than 90 countries. Those who are headed out to China no longer need to purchase a VPN (Virtual Private Network) app earlier in advance in order to gain unrestricted access to the likes of Google, Facebook, and Youtube, not to mention sending Whatsapp messages to their family and friends. Talk about being hugely practical! Those who are interested in the Fonebud W might want to make a beeline to CES 2019 as it will make an appearance there. Touted to be the ideal device for the business traveler, the Fonebud W promises to deliver up to 35 active hours of unlimited 4G/3G Wi-Fi data roaming whenever you are abroad. It is also capable of hooking up to eight devices at a time, making this ideal for families who travel together. The hotspot device also doubles up as a wireless or USB charging station, letting you use it with compatible devices as well as legacy ones that are still tethered via cords. The 10,000mAh battery ensures that it keeps on going without missing a beat. The Fonebud W will rely on eSIM technology, doing away with the need to tote around a SIM card in order to remain connected to the Internet when you are overseas. There is no monthly plan to worry about, with data plans being available from 90 days to 365 days.